At first, I weigh the oil in a balance. 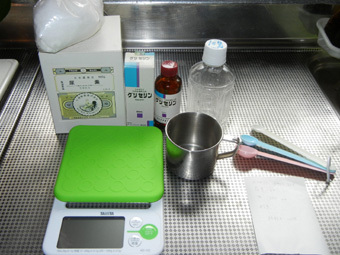 The oil that used for fritter or tempura for 2 or 3 times, I measured it, the weight was exactly 500g. From the weight, I calculate the other ingredient’s weight. 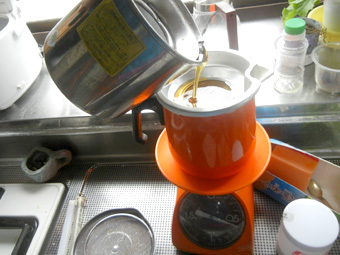 Water is 1/2 from the oil, it means 250g. Caustic soda multiplied 0.14 by the oil is 70g. 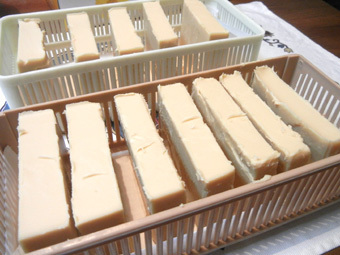 But I make Eco soap, so I wanna more eco, I use washed-rice-water instead of normal water. Well then, the ingredients are these. 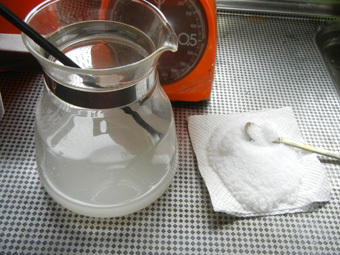 Here are Washed-rice-water(left one) and Caustic soda(right one). 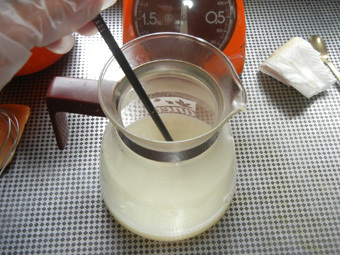 Put caustic soda to washed-rice-water, then mix. 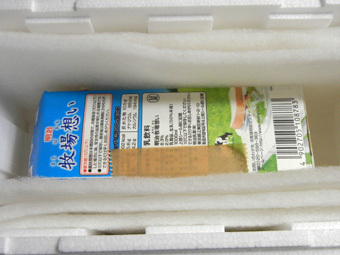 Temperature will rise suddenly, so be careful! I’m putting gloves on hands and mask on my mouth. Well, the oil that I already weighed put on fire to around 50 degree. 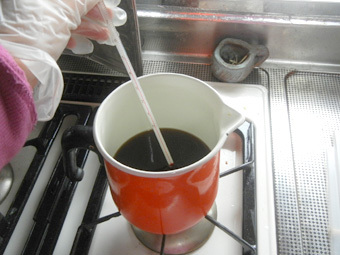 When the washed-rice-water and caustic soda mix’s degree decrease to around 50 degree, mix both liquid. 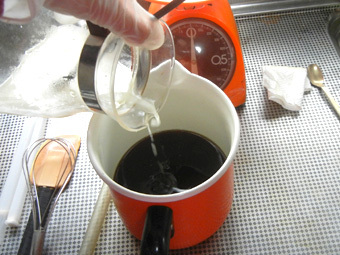 Mix…in 15 min, it makes me tired, so leave it and I mix it again every an hour. 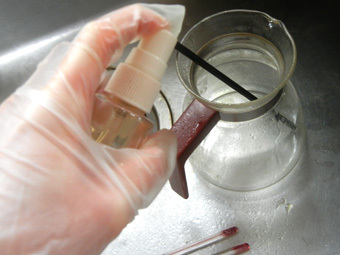 At the same time, I spray those tools I used with vinegar. 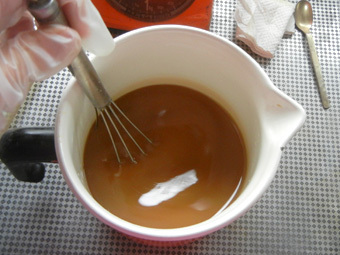 The tools is alkaline state, so the vinegar make it neutralize. Then I wash the tools by sponge just for this. 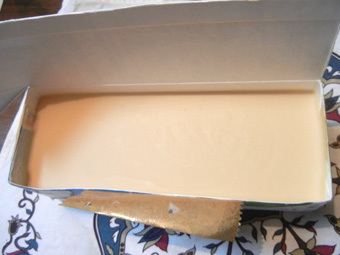 put it in a milk box, then put the box in a Styrofoam box. 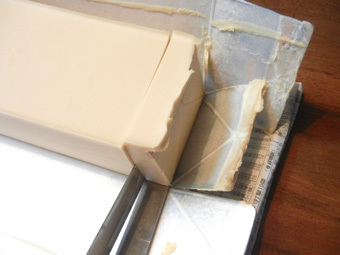 Opened it in 24 hours, hummm, it seems soft a little bit, but it’s ok.
Cut the soap a piece by knife. Put the soaps in line~. 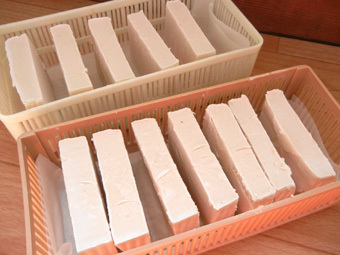 Then put the soaps on proper shady and airy place for 1 month to dry. 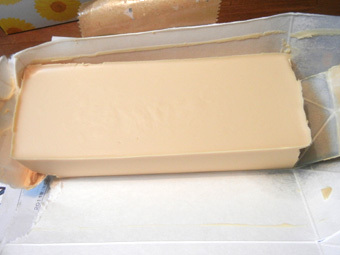 Usually, the soap made by used-oil is use for washing clothes or dishes though, it has a lot of minerals that it may be good for body too actually. 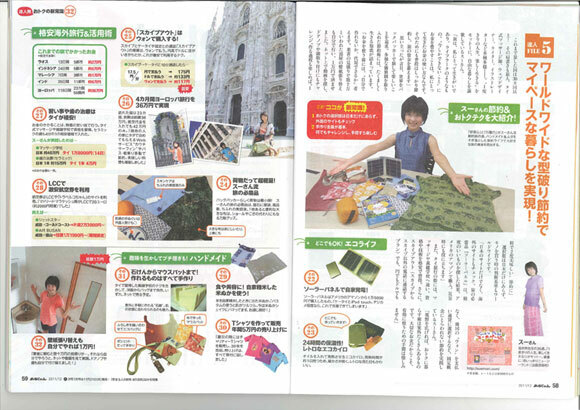 For body, I used washed-rice-water and took long time to make it! the bubble is soooo fine and silky~!!! So I washed my face and body though, sooooooo gooood!!! It buff my skin so much~!! Then I put hand-made lotion on my face, then I went to bed. 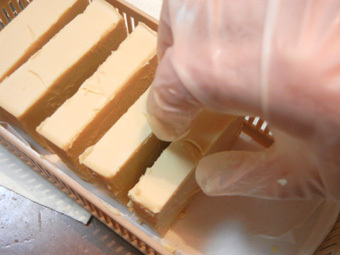 Whoa~, it’s a kind of waste if I use these soaps for clothes or dishes..